Last week, I posted my review of the new independent film, Winter’s Bone, which not only has won acclaim from me, but also from critics around the United States (I also posted an interview with director and screenwriter Debra Granik). In my review, I wrote a sentence that may have thrown a few people off: I compared Winter’s Bone to David Mamet in the sense of its screenwriting. Now, Ms. Granik’s film doesn’t really feel in the mold of Mr. Mamet, the famed writer and director whose written truly wonderful plays like Buffalo 66 and Speed-the-Plow, as well as some great movies like Glengarry Glen Ross and the surprisingly underrated Spartan. Mamet argues that this is the key to keeping your audience interested and engaged. When the questions are unanswered, your audience is confused to why they are invested in this story. What is the protagonist’s main dilemma? Your audience needs to know. Side plots? Unnecessary unless they will be tied in. 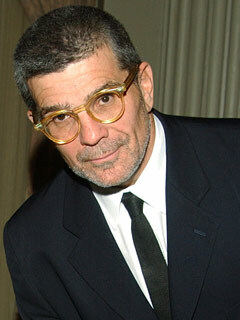 Mamet writes, “The film may, perhaps, be likened to a boxer. He is going to have to deal with all the bulk his opponent brings into the ring. Common sense should indicate he had better not bring one extra ounce of flab on him—that all the weight he brings into the right had better be muscle” (71). This is why Winter’s Bone really floored me in terms of its screenplay. When I often see an art house film, part of that enjoyment is often extraneous. I don’t expect a film by Abbas Kiarostami or Jia Zhangke to even begin to think it should answer these questions in any scene. Hollywood films will answer these questions, but often it’s sloppy, misguided, or simply boring (and worst of all, extraneous). Yet Winter’s Bone does not do this in a single scene. The set up of the film can be answered in the three questions without even thinking. 1. Who wants what from whom? Ree wants the information on her father’s whereabouts from her meth-cooking community. 2. What happens if they don’t get it? Ree will lose possession of her home where she takes care of her mother and siblings, and that will most likely be the end of them. 3. Why now? The cops have come and informed her about the bond on the home which her father has jeopardized because he put it up for his bond. Almost every scene in this film is built on a variation of these answers. Ree wants information. Her kin have no interest in giving it to her. And she is going to have to fight her way through to get it. Who wants what from whom? Oedipus wants the truth of his birth from those around him. What happens if they don’t get it? The plague will continue to ravage the city. Mamet’s believes that you can answer these questions for every line, which may be a little ridiculous, but he has a point. Mamet is a tough guy, and writes like a tough guy for tough guys. He hates being extraneous, and the thing that pisses most people off about him is that he is always right. He ends his chapter on the Three Magic Rules this way: “They are, however, part of the unconscious and perpetual understanding of that group who will be judging you and by whose say-so your work will stand or fall: the audience” (86). For those in New York, Mamet has a play on Broadway entitled Race that is supposed to be quite good.